If you are not a U.S. citizen, you may fall into one of three categories of persons who are eligible to work in the United States. Category 1:You may be authorized to work in the United States because of your status. Category 2:You may be authorized to work for a specific employer as a result of your nonimmigrant status. Category 3:You may be in a category that requires you to request work authorization. To be legally employed in the United States, you are required to present documentation to an employer to show that you are authorized to work in the United States. US. citizens can meet this requirement by showing proof of their U.S. citizenship and a valid identity document. Lawful Permanent Residents can meet this requirement by showing their Permanent Resident Card (Green Card). Refugees can meet this requirement by showing their Form I-94, Arrival-Departure Record, that has a red stamp indicating employment is authorized. 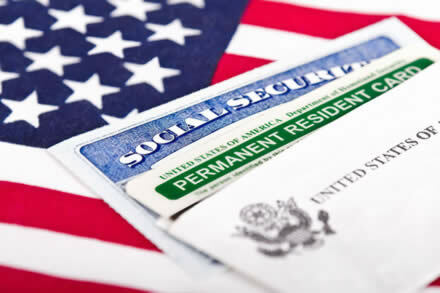 Asylees (persons granted asylum in the United States) can meet this requirement by presenting an unrestricted Social Security card, Employment Authorization Document and/or I-94 that has a red stamp indicating employment is authorized. Certain nonimmigrant visa holders who are eligible to work for a specific employer can show their Form I-94 Arrival-Departure record with their nonimmigrant visa, which will indicate the name of the employer for whom you are authorized to work. You can get information from your Form I-94 by visiting the S. Customs and Border Protection website. Most others will need to request employment authorization, or evidence of employment authorization incident to status, and receive an Employment Authorization Document (EAD) as proof of their employment authorization before they may work in the United States. Applicant’s for residency based on family petitions, and in particular marriage-based petitions are required to appear for a personal interview before USCIS. The purpose of this interview is to review all of the information on the adjustment of status application to verify that it is complete and accurate and to confirm the applicant’s eligibility for permanent resident status. Croce & Associates prepares our clients for the adjustment of status interview process in order to alleviate the stress and uncertainty on the applicant. Croce & Associates provides representation at adjustment interviews for all clients who wish to avail themselves of this service. This is one of the main benefits of being represented by a licensed attorney rather than a paralegal or notary who can only prepare applications but is not authorized to represent individuals before the U.S. Customs and Immigration Services (USCIS) and the Immigration Court. An improperly prepared application or an unprepared applicant can result in the denial of the application for adjustment and be much more costly in the long term. Therefore, Croce & Associates recommends the hiring of a licensed attorney with experience in immigration to represent the applicant through the entire process until permanent resident status is granted. Trust your case to Croce & Associateas.